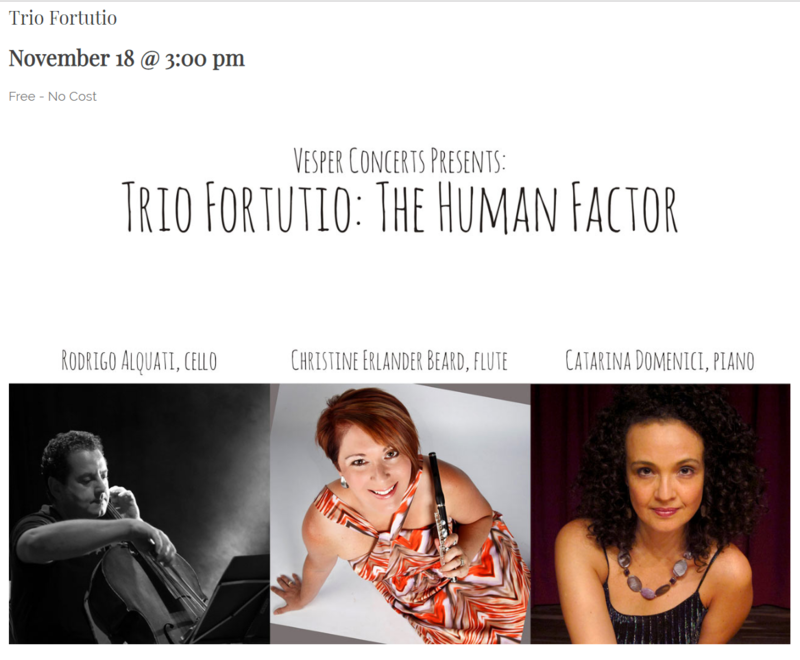 "Trio Fortutio" is performing “The Human Factor” on Sunday, November 18th as part of the Vesper Concert Series. Show time is 3:00 at 1517 South 114th Street (114th and Pacific). The conceert is free and open to the public. Christine Erlander Beard, (flute/piccolo) and Rodrigo Alquati, (cello, from Brazil) join Mike Hogan "Live & Local" to discuss the formation of the trio, the music, and a whole lot more.